0ur farm There are 11 products. 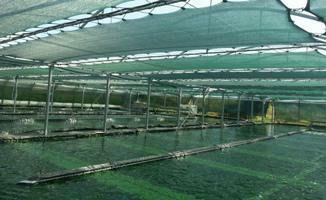 The production of Spirulina Algahé farm, located at a place called Noyes (Aveyron), is a farm that cultivates spirulina craftsmen, and is respectful of the way of life of the algae and its environment, for a 100% natural spirulina. We welcome you to our farm visit for you to discover when its culture. 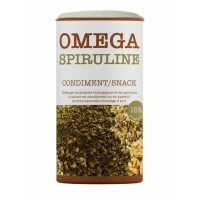 Discovering spirulina, a health-food ... This is a microscopic alga appeared, there are about 3.5 billion years, which owes its name to its spiral shape. It contains many vitamins, but also proteins, essential fatty acids, beta-carotene, and is very rich in iron : real food treasure ! Discover our range of Spirulina (twigs, powder, tablets, petals) and our Spirulina products: soap, shampoo spirulina, tagliatelle, soup spinach Spirulina, chocolate with spirulina chips, guacamole spirulina, in our shop of the producer, or visit our resellers page where to find our products. 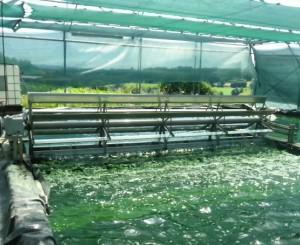 Artisanally grown in ponds in greenhouses, our Spirulina undergoes no transformation, except drying. 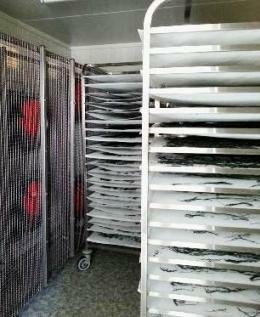 It is guaranteed 100% natural with no additives whatsoever. The agitation mode impellers is respectful of the culture, and enables introduction of each filament spiral gently and rhythmically, without breaking them, in accordance with the mode of growth of the algae. Harvesting is carried out by filtration on a very fine cloth sieve of the order of 50 microns. .
Once filtered, the spirulina is put into the form of twigs, before being dried. We perform a low temperature drying over several hours, which does not affect the vitamins and trace elements of spirulina. 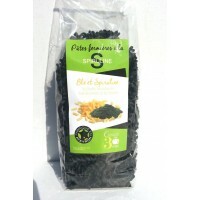 This allows to preserve all the nutritional benefits, as well as all the taste properties of spirulina. 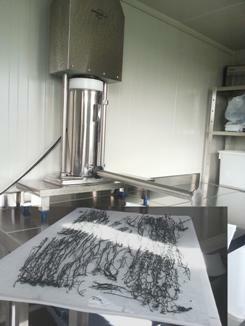 Microbiological analyzes are regularly carried out on our crops to guarantee the quality of the product.